Discussion in 'The Western Star' started by kuro90, Mar 25, 2019. 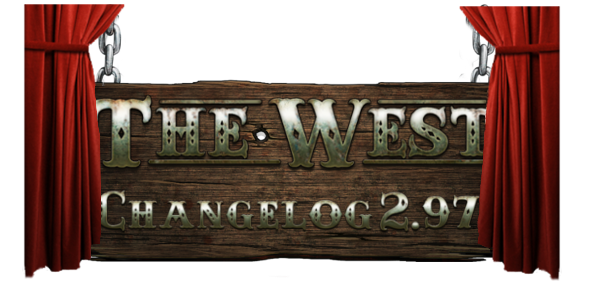 We are currently planning on applying the patch to Version 2.97 on Wednesday, March 27th. Please keep in mind that the date, time and content of the patch are subject to change. To give the opportunity to complete the questline to all players, we extended the availability of these quests. The quests will be available until March 30, by 23:59. A quest item, comb was possible to wear only by men. St. Patrick's horse wasn't upgradeable. We changed the settings and from now on you can upgrade the horse. A quest item "masclet" was dropable. Ninot and Falla structure don't have icons. Repeatable quest "Are you a true cook?" The quest Are you a true cook? can't be accessed because of the quest requirements. This quest required 10 stones, which is an unobtainable item. These have now been replaced with 10 pebbles. We are aware of all the bugs that are compromising your gameplay at the moment, we can assure you that we are doing our best to fix them as quickly as possible. If it will become necessary we will pospone the deadline of the quest so that you will be able to complete the questlines on time regardless of the bugs. As you know, we had a lot of bugs related to repeatable st. Patrick questline so to give the opportunity to complete the questline to all players the time requirement for the quests is changed and the questline is available until April, 9th 23:59.